We have all been nearly inundated with news stories regarding the newfound dangers relating to taking our focus off of the road while driving. Most of us already understood the basic premise that paying attention to our driving environment was advisable, but in recent years many different studies have been done that have attempted to quantify the risks of distracted driving. Whether people can specifically describe the results of any of these studies or not does not seem to be important, as the general knowledge seems to have reached motorists. Unfortunately, it also seems that even though these risks have been acknowledged by many drivers that some of them are simply not heeding the warnings that come with them. State Farm Insurance has been tracking the percentage of drivers who have admitted to logging onto the Internet while driving since this capability first became readily available in 2009. Despite all of the information regarding the dangers of distracted driving that has come out, this tracking indicates that not only are people not avoiding the Internet while driving, but that more of them are actually browsing while behind the wheel. 24 percent of drivers admit to going online while driving, which is an increase from 13 percent in 2009. 49 percent of drivers between the ages of 18 and 29 go online while driving, up from 29 percent in 2009. 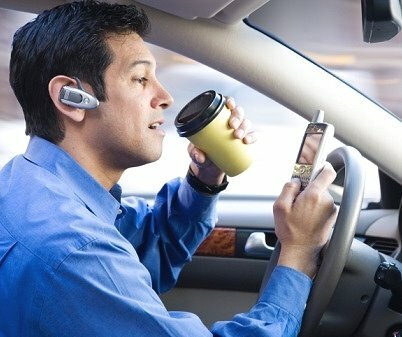 The number of people texting while driving has increased to 35 percent from 31 percent in 2009. Many seem to point to the growing number of people who own smartphones with Internet browsing capabilities as the main culprit in this troubling rise in distracted drivers. In 2009, only 47 percent of drivers in their 40s owned smartphones. That number has since skyrocketed to 82 percent. This is in large part due to the fact that this capability is more common in phones now and therefore it is more available and ultimately more affordable for consumers. What is known at this point is that too many people are driving vehicles without paying the proper amount of attention to what they are doing. While it is informative and in some cases important to understand how prevalent the different types of distractions for drivers are, the bottom line is that the law will not generally differentiate between them. Basically, if a driver is distracted and he or she causes a car accident that leads to injuries or worse, that driver could face substantial legal liability if that injured person files a lawsuit in response. If you tend to be distracted while you drive, think about ways that you can improve your focus. If you have been injured in a crash caused by a distracted driver, contact the Alaska accident lawyers at Barber and Associates, LLC today to schedule a free initial consultation.